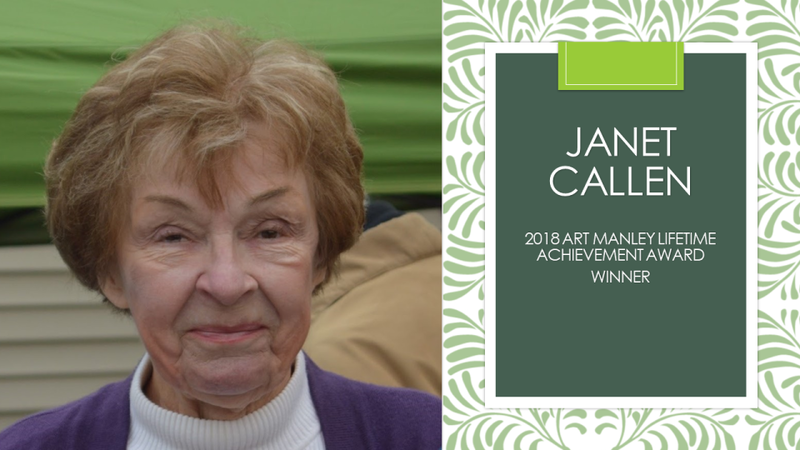 The Kootenai County Democrats bestow the 2018 Art Manley Lifetime Achievement Award to Janet Callen. For the past 18 years, she lived the principles for which this award was established. In addition, she consistently demonstrates her commitment to Democratic values and the Democratic Party. Her years of unselfish service makes Callen worthy of this honor. Since the early 2000s, Janet served the Kootenai County Democratic Central Committee as a precinct captain. She also worked for at least six years as the Central Committee’s Treasurer. Regardless of how she served, Janet willing lent her expertise as a frequent volunteer, committee chair, and mentor. Moreover, she applied her financial background and expertise to inform the readers of her frequent and well-written letters to the editor. She also used her exceptional organizational skills to coordinate the set up and operation of our annual fair booths. In addition, Janet ensured that accurate “sunshine” reports were submitted to the Secretary of State on a regular basis. In addition to supporting the Central Committee, Janet also served as treasurer for several local candidates. For example, she acted as Treasurer on all four of George Sayler’s campaigns for the legislature. She also acted as George Saylor’s surrogate in Boise for a brief time. The Saylers described Janet as a “stellar” campaign worker and team player. She is someone who could effectively communicate her passionate support to others as she faithfully knocked on doors. Though disliked and avoided by many, Janet embraced this essential component of a committed campaign. Not only did she campaign for others, she also ran unsuccessfully in two races for state legislature. For all that she has accomplished over the years, we celebrate Janet as a worthy recipient of this year’s Art Manley Lifetime Achievement Award.